American-International food truck. Hot dogs, burgers, subs, burrito bowls, tacos, quesadillas, sandwiches, gyros, soups, and more. Located at 385 Deans Rhode Hall Rd. Middle Eastern-style food truck. Vegan. 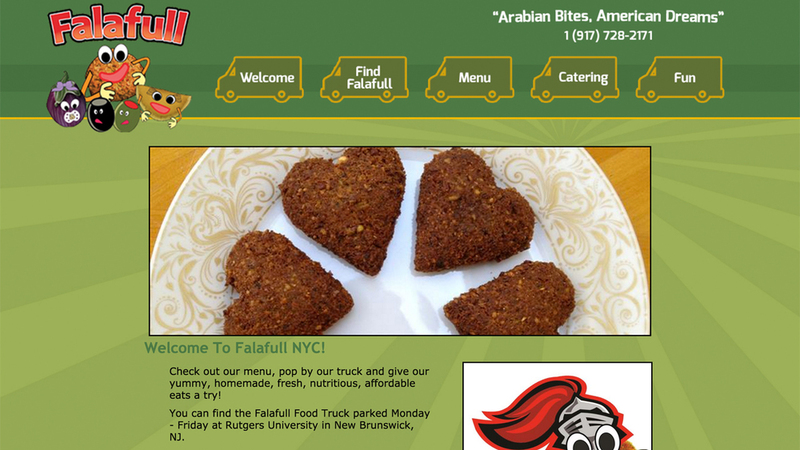 Falafel, hummus, baba ganoush, tabouli, tumblers, sandwiches, salads, dips, and more. Location varies. Mobile food truck, "serves locally sourced breakfast and late night eats – egg sandwiches, burgers, tacos and more, complimented by housemade preserves and sauces and some of the best coffee in town.” Breakfast sliders, brunch, lunch. Location varies. Neo-traditional Mexican tacos, tortillas, burritos, empanadas, burgers, noodle dishes, and more. Location varies. Korean fusion food truck. Tacos, burritos, dumplings, wings, desserts, and more. Location varies.